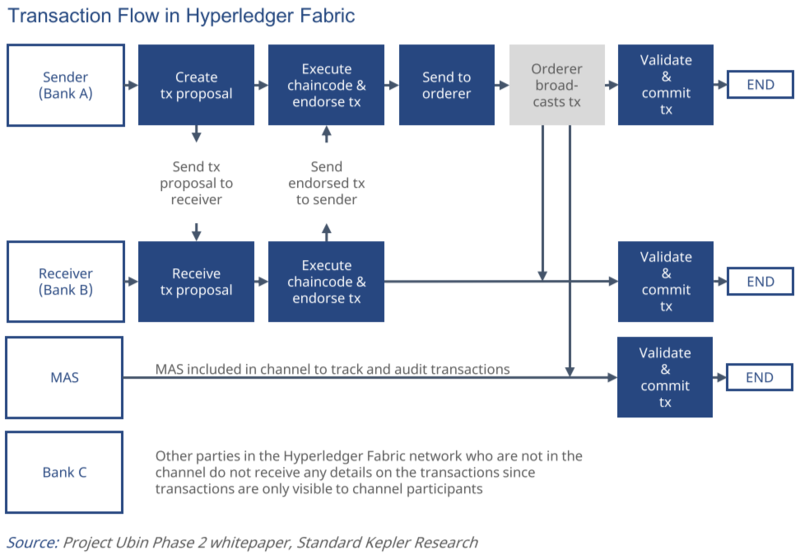 Hyperledger Fabric is part of the Hyperledger family of projects hosted by the Linux Foundation. These projects have all been designed to be modular, with the intention of offering greater flexibility to customers and developers alike. In theory, this allows developers to experiment with different components without affecting the rest of the system, allowing for a Lego-like approach to building solutions for diverse problems from a fixed set of components. Fabric further runs distributed applications written in general-purpose programming languages, without depending on a native cryptocurrency. The concept of channels is also at the core of Fabric. The system is built on a network of bilateral channels between participants, with each bilateral channel forming one ledger. By establishing such channels, data privacy can be maintained within the channel and away from other system participants. A third party, such as a monetary authority, can be included in the channel for purposes of transaction recording and monitoring. Multilateral channels can also be created, such as in the case of Singaporean project Ubin, where participating banks are linked by multilateral funding and netting channels. Such a funding channel allows participants to move funds between their individual channel-level accounts. Note that the number of bilateral channels, and thus system complexity, grows with each new system participant. Any blockchain that sees usage within financial market infrastructure must provide immediate finality, rendering consensus algorithms such as proof of work and proof of stake unviable. Fabric prevents double spending attacks via a system endorsements and an orderer. Participating nodes validate a transaction against the system endorsement policy (defined by the chaincode) to ensure the validity of the transaction and its signatures (see the chart of the week). An orderer packages endorsed transactions into blocks, and broadcasts these blocks to the channel participants. These subsequently validate the transactions before they are committed to the ledger. It is also possible to include a consensus mechanism that allows for a multiple node ordering service. 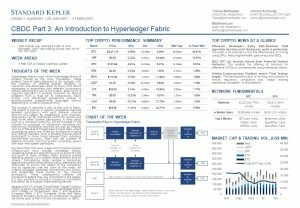 Several proof of concept Central Bank Digital Currency (CBDC) systems have been built on Hyperledger Fabric, most notably so Singaporean Ubin 2 and Japanese-European Stella 1 & 2. Alongside Corda and Fabric stands JP Morgan’s Quorum, an introduction to which will be the topic of Part 4 of this introduction to CBDC.